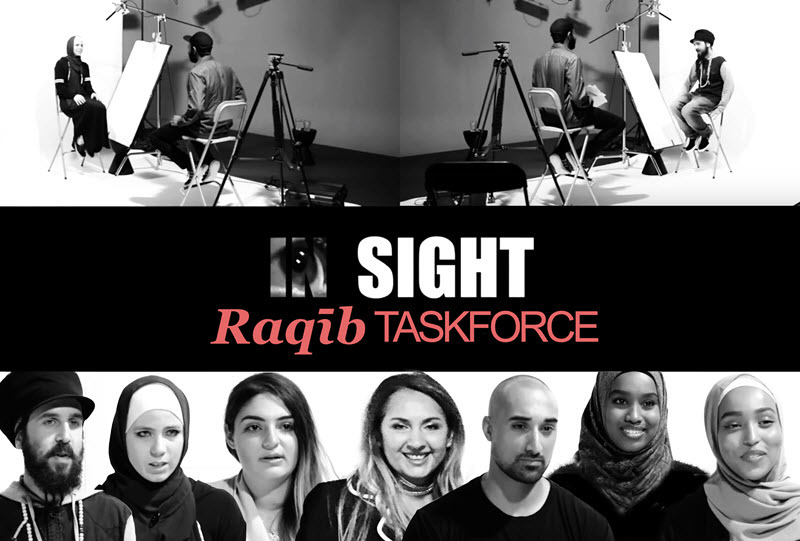 #ShareSomeGood #creatorsforchange – The Raqīb Taskforce is an organisation committed to creating a #positive #counternarrative within Australian society. Our community engagement representatives are right models who are able to connect with the young people in a relatable way, and articulately dispel the myths that form part of the pro-extremist messages in the public domain. Through its people, programs and particularly the right models, Raqīb seeks to build tolerance, respect and a resilient community. We know that division in communities not diversity creates hatred and hatred promotes extremism of all sorts. With YouTube, Google Australia, Vice Productions, Love Frankie, and the Australian Film, Television and Radio School (AFTRS), Raqīb Taskforce participated in Share Some Good Content Challenge. In this challenge Australia’s brightest young creators have been encouraged to develop diverse stories and imaginative responses to themes surrounding extremism, hate speech, intolerance, racism and LGBT rights. Raqīb podcast hosts are Matuse Peace and Abubakr Mahmoud. The X-Stream podcasts brings topics of interest and current affairs focusing on young Australians. We are connecting with communities by having an open discussion of inclusion, diversity, racism and hate speech. Matuse Peace and Abubakr Mahmoud the hosts of X-Stream podcast invited Mohammad Al Mayahi as a guest to discuss the current topics of discussion in the media. Mohammad Al Mayahi a film maker, producer and screen writer. Matuse Peace and Abubakr Mahmoud the hosts of this podcast are joined by Naveen Krishnasamy, a man of many talents. They discuss poetry, art and being black. Youth transition worker Naveen Krishnasamy has worked with refugees and new migrants for several years. He is the founder of Polish2Publish. Matuse Peace and Abubakr Mahmoud both are the hosts of X-Stream podcast. In this episode they are joined by powerful women; Elizabeth Jarret, Hana Olsen and Fiona. We share some awesome anecdotes and present some serious truth supported by beautiful music. Matuse Peace and Abubakr Mahmoud both are the hosts of X-Stream podcast. They are joined by awesome guest Boshia Rae-Jean. Artistic Femme Fatale Boshia Rae-jean, born October 31st, emerges from Orange, NJ, as a multifaceted, non- categorisable performer, choreographer, singer and emcee. Matuse Peace and Abubakr Mahmoud both are the hosts of X-Stream podcast. In this episode they are joined by Mohammad Al Mayahi as a guest to discuss the current issues facing the youth of Australia. Mohammad Al Mayahi a film maker, producer and screen writer. Mohammad is the lead producer of Raqib videos. Matuse Peace and Abubakr Mahmoud both are the hosts of X-Stream podcast. In this episode they are joined by John Safran. John Michael Safran is an Australian radio personality, satirist, documentary maker and author, known for combining humour with religious, political and ethnic issues.